Enable USB Debugging on your phone from Settings->Applications->Developers then plug the phone into your computer via USB cable (make sure the phone is turned on). 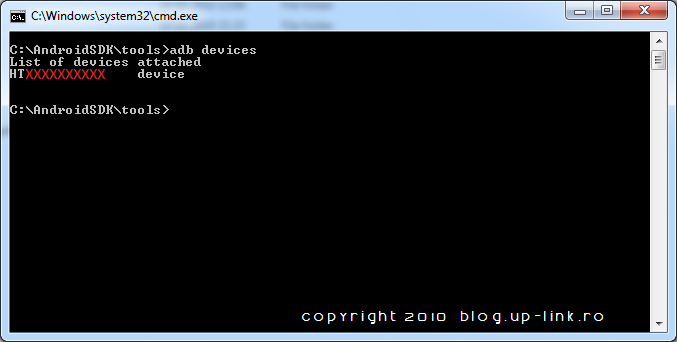 Goto the Start menu and type cmd into the search bar or click Run then type in cmd to open the command prompt. Now, you should see a serial number pop up. This means you are all set. If you do not see a serial number, then you need to reinstall the drivers.